In an effort to reorient one of the country’s most innovative homelessness alleviation organizations around a new generation of leadership, longtime Skid Row Housing Trust (SRHT) CEO Mike Alvidrez has decided to step down from his post effective sometime next summer. Alvidrez’s tenure with SRHT has spanned 27 years so far, with 13 of those years spent at its helm. 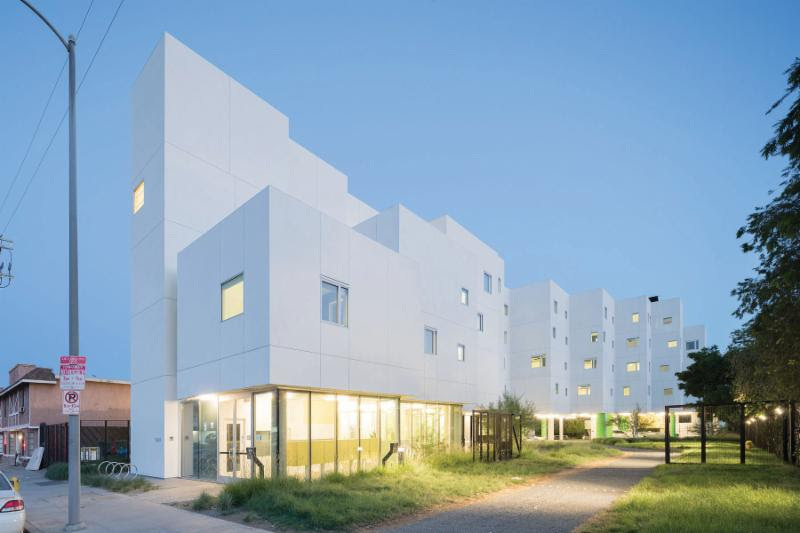 Under Alvidrez’s stewardship, Los Angeles–based SRHT has grown to become a leader in re-housing initiatives via the implementation of the “housing first” model. Under this model, individuals are afforded permanent housing first, with other supportive services following afterward. 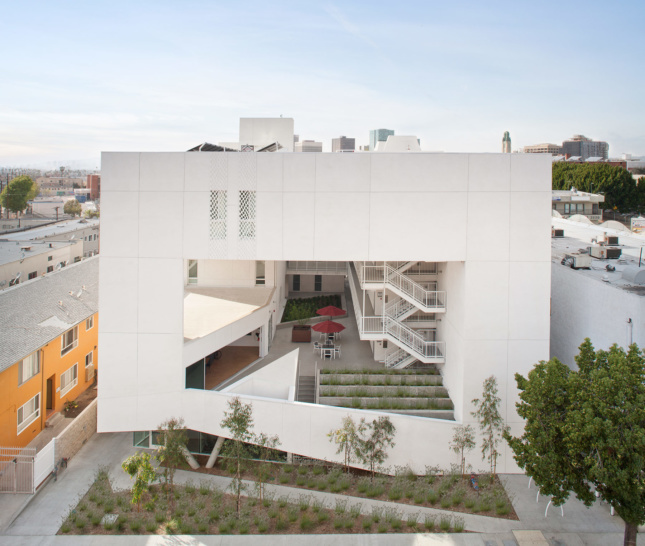 SRHT has implemented the model through a series of high-profile collaborations with Los Angeles area architects in an effort to bring thoughtful design to contemporary models of American social housing. Alvidrez’s announcement comes after the success a pair of SRHT-supported ballot measures aimed at increasing funding for supportive housing services in recent elections. Those initiatives—Measure HHH in the City of Los Angeles and Measure H in Los Angeles County—aim to provide funding and support for the construction of 10,000 supportive housing units, among other initiatives, a windfall that will surely impact SRHT’s initiatives moving forward. For now, the organization is going to take its time to transition to new leadership. Alvidrez announced that SRHT will begin reviewing applicants later this year and he would stay on with the organization as an ambassador after the fact. See the SRHT website for more information.